Loving dogs and cats is not enough to ensure proper care. Personal experience does not constitute professional knowledge or skills. You can take comfort in knowing your pets are being cared for by Northern Arizona's only pet care facility where our ENTIRE staff is trained and independently certified through the International Boarding and Pet Services Association, the MasterPlan Pet Care University, the Dog Gurus, and more! 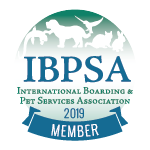 We are the only pet care facility in Northern Arizona with staff who are members of the Professional Animal Care Certification Council, helping to set standards in the pet care industry and providing truly independent testing and certifications. Cinder Hills is considered a leader in the industry by our industry peers. 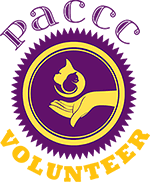 Al (one of our owners) has served on the PACCC Board of Directors. As members of The Dog Gurus, our staff has completed their stringent training programs including Knowing Dogs 101 (Dog Language), Knowing Dogs 201 (Group Play), and Evaluating Dogs 101/201/301. 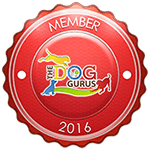 The facility has completed The Dog Gurus' Four E's of Excellence in Off-Leash Dog Play, a guide to establishing the best quality care and service in off-leash dog playgroups. 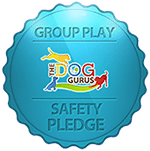 Centers taking The Dog Gurus Safety Pledge have made a commitment to design and operate their program for the safety of all dogs. They strive to ensure the physical safety of each dog with a goal for every dog to go home from their center behaviorally and emotionally better than when they arrived. 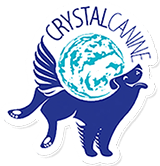 Crystal Canine helps pet care business owners to "have the best job in the world" with industry specific training in dog daycare operations, financial and staff management.